Well, here's a gift idea! Book someone a holiday trip now! Enjoy the holiday with the new seat sale! Book now until December 1, 2016! 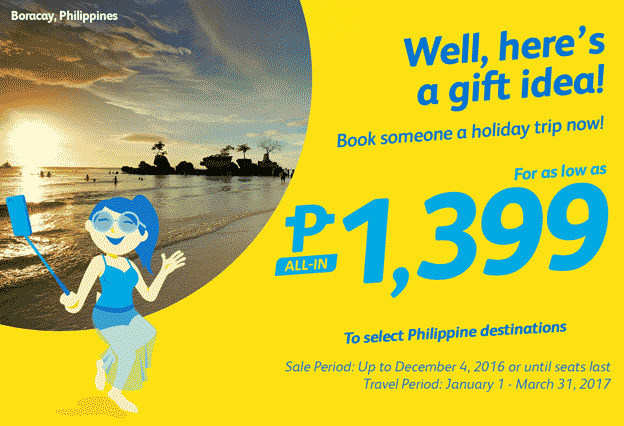 Get this amazing Cebu Pacific Promo: Well, here's a gift idea! Book someone a holiday trip now! Book now until December 1, 2016! For as low as P1399. 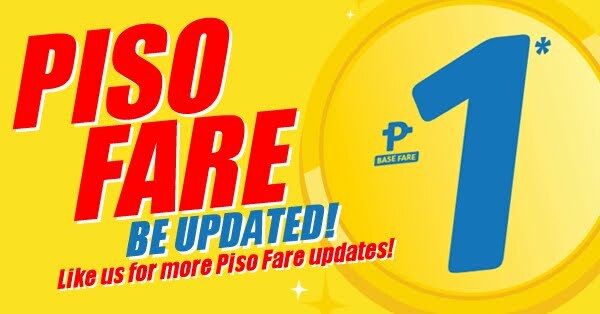 You can buy this promo up to December 2-4, 2016 or until seats last and travel period on January 1, 2017 to March 31, 2017.